OK, so this isn’t as pretty as the root beer cupcakes, but…come on, guys! It’s soup made of BEER! Besides, I’m traipsing around LA, putting up fun pics on Twitter, so I just whipped up a little something to tide everyone over. When I saw “Beer Soup” in The Country Kitchen Cook Book, I must admit there was part of me that thought, “YES! Lager in a bowl for dinner!” I’m reeeeally into beer: I love wine but I go nuts for craft beers, and have been known to tipsily email myself from the bar about especially good brews. This soup has a few other things besides beer, but it’s still pretty damn good. And really comforting for a winter’s night. Apparently beer soup is a big Midwestern thing – it often comes with cheddar in it, as seen in this recipe. The version I found it thickened by roux and eggs…as you can see for yourselves. As you can see, this is a very warm, hearty soup, and it’s instructions presume knowledge of things like how to make a roux. That’s where I come in: I added some onion and sour cream to brighten the flavors here, and removed the water in favor of skim milk since most of us no longer use whole. Any thoughts on other ways to update? I didn’t have any blood sausage, but am definitely trying some alongside next time; if offal is not your thing, I’m sure a fried bratwurst would go nicely too! 1. Melt the butter and add the flour. Cook until medium-brown and fragrant, whisking constantly. Add the milk, still whisking. Add the sugar and mix until dissolved. 2. 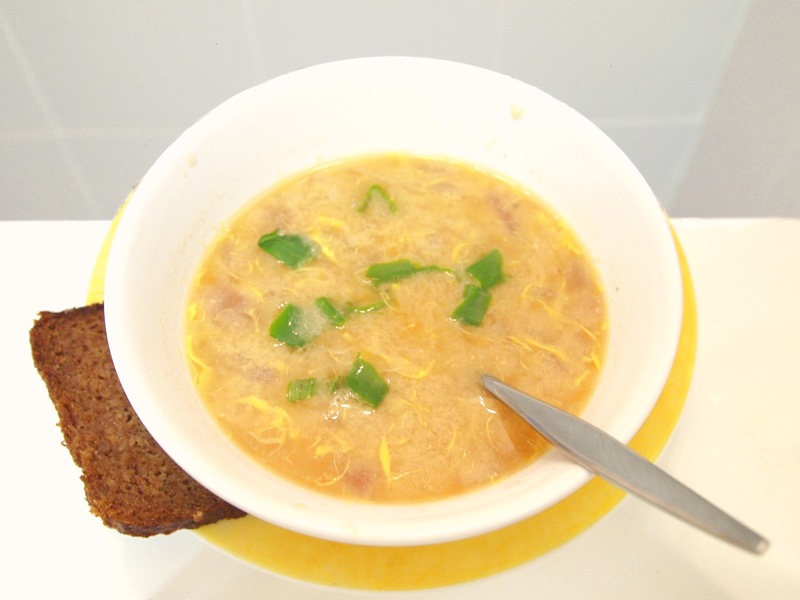 Thin with the soup with broth or water, add the currants and bread, and bring to a boil. 3. Cook for 3-4 minutes, stirring constantly. Beat in the egg yolk, add cinnamon, and salt to taste then serve. Belgians would definitely go for this. This is so weird it’s gotta be good!